There are times where the full version of the escape rooms are too involved for the amount of time allotted. 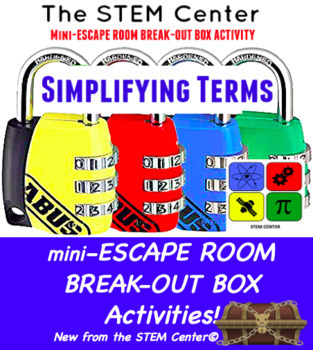 This Simplifying Terms - Mini - Escape Room allows the teacher to use a break out box as a bell ringer activity. 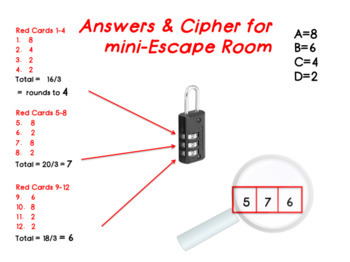 You will also be able to see the power of an escape room in producing teachable moments within your classroom! This is a brand new Simplifying Terms Escape Room is a totally immersive product from the STEM Center that promotes cooperative learning. 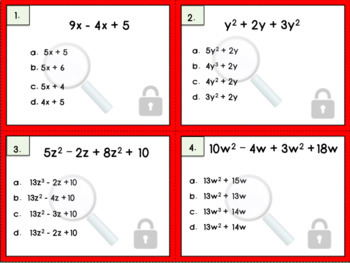 We have developed a comprehensive 1 tier, math themed Escape Room, Break Out Box Activity. 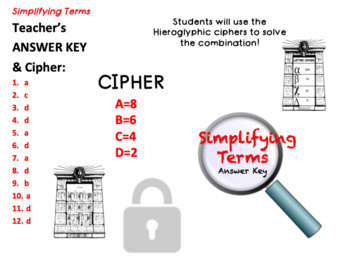 The Escape Room centers around the fundamental vocabulary found within a unit focused on the Simplifying Terms. We have found a way to make learning FUN!